Edit design Fan sweater football , or create your design from scratch. 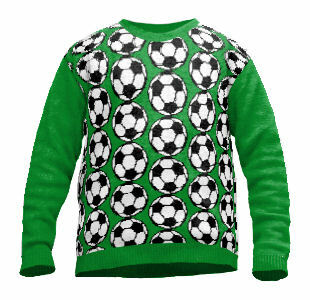 Create your customised fan sweater football sweater with design of your choice. Custom names personalized and knit in this pullover. Personal clothing knitwear made to order, no minimums, single custom pieces.